1. Tell us about the start of the season, are you satisfied with the team´s performances and the amount of points you have gained? J:I can’t say I’m satisfied with the start to our season. Southampton have always had the bad habit of throwing away games and blowing leads and that has reared its ugly head already this season. Against Leicester City, we looked in control at 1-0 up, but we concede a cheap goal, get a player sent off for a stupid dive, and let in a last minute goal to lose 2-1. Against Brighton on Monday night, we’re winning 2-0 but totally cave under pressure and draw 2-2 thanks to a penalty in injury time conceded following a dumb challenge. We can’t keep dropping points because our players’ poor game management. A: It’s another continuation of dropping points from winning positions, so I can’t say I’m totally satisfied with our performances thus far. We’ve put together good halves, but completely turn off for the opposite 45 and teams have punished us for that. Our best outing was against Crystal Palace, but even then we had to fight harder than we should’ve had to to get over the line. 2. What are the teams strenghts and weaknesses? J: To be totally honest, it’s hard to pinpoint one strength of this team. Under Mauricio Pochettino, we were defensively solid and played attractive football. Under Ronald Koeman, we were defensively solid and attacked with pace. Now, we’re not particularly adept at defending and we also struggle for goals! Our main weakness is that, really – Southampton do not have a footballing identity these days. A: I’ll start with our weaknesses as I think they are keeping us from finding our strengths. We don’t have the composure to see out a game as seen against Brighton, which contributes to a lack of confidence. Even if we’ve got a lead there’s that tension around the ground and amongst the players that it will go wrong at some point — normally through our own undoing. 3. What are your thoughts on manager Mark Hughes? Do you think he is the right man for your club? J: It’s hard to say. Mark Hughes did well to keep Southampton up, considering the awful job Mauricio Pellegrino did beforehand. However, we could have survived much easier if we hadn’t thrown away points against Chelsea (2-0 up at home, lost 2-3) and others. But he did keep us up and it’s probably fair he got given the permanent job following that. He’s largely liked by the Southampton fanbase, but it remains to be seen whether he is the right man to take Saints forward. A: I thought Mark Hughes was a pretty weak appointment that pleased a part of the fan base. He hasn’t really changed the culture like some would have assumed. I honestly have no idea who we should’ve gone for – I think the market was limited, but I wouldn’t have expected Saints to go for a big name as that’s not in the club’s DNA to make a massive splash. 4. Last season was very tough for Southampton, after four seasons on the top half you were just three points from relegation. What went wrong? J: Easy. The aforementioned Pellegrino. He was possibly the worst Southampton managerial appointment since Jan Poortvliet (Google him!) and he had us playing some really poor, uninspiring, negative football. The team looked deflated and form suffered as a result. Also, we definitely kept Virgil van Dijk at the club a little too long, as it is well reported he was a negative influence behind the scenes after we had rejected Liverpool’s original approach for him. Thanks for the £75m, by the way! He’s quite good, isn’t he? A: We couldn’t score and that’s a product of managers, players and board decisions. I don’t feel Mauricio Pellegrino was any more progression than Claude Puel, who I think should’ve stayed had we been able to see how much of a mistake Pellegrino was. We’ve definitely not replaced the likes of Sadio Mane or Graziano Pelle and we paid the price for that with a really, really poor season. We were lucky that there were three teams that were worse than us, otherwise we would’ve been in the Championship this year. A pretty big crash since we were in Europa League not long ago. 5. You signed Danny Ings from Liverpool earlier this season, how has his start at your club been? 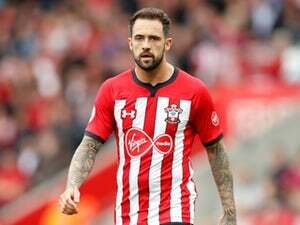 J: Danny Ings is already loved by Southampton fans. He’s from the area and supported Saints as a boy, which always gets players off to a good start down here, but he also happens to be a quality footballer. Surprisingly so. He’s now got three goals in five games, which is a damn good return for a forward in such a goal-shy team. Hopefully he can remain fit all season and notch up a few more goals for us. A: I was skeptical of his loan and future purchase considering his injury history, but he’s been a revelation. He’s finding the net and alongside Nathan Redmond, he’s our most important player going forward. Ings clearly is out to prove he is still capable of contributing at the Premier League level and that’s a win for Saints. 6. Which players will be most important for you this season? J: Now he’s been given a proper run of games, Pierre-Emile Hojbjerg is looking like the midfield general we have craved for years. But with his goals, it’s likely Ings is the most important player for Saints if he can remain free from injury. That’s a big if, given his past, but for his sake I hope it all works out for him in that regard. A: I said going in that Pierre-Emile Hojbjerg was going to have a breakout year. He made a real schoolboy error Leicester where he got himself sent off, but redeemed himself against Palace and continued that versus Brighton. If he can maintain that level, he’ll be a huge asset in our midfield alongside Mario Lemina. I also think Janick Vestergaard is the best centre back we’ve had since Virgil van Dijk. 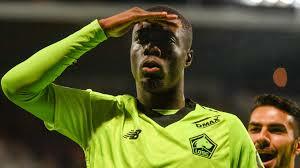 Granted that wasn’t long ago, but he has the potential to be one of the top defenders in the league. J: We played well in spells against Brighton on Monday, so I wouldn’t be surprised if we field a similar team, but approach the game differently. I think it makes sense to keep our quicker players, the likes of Shane Long and Nathan Redmond, in the starting line-up to break on the counter against Liverpool. But Liverpool look so damn good these days – there is virtually no point in us trying to play nice, passing football against a team like Liverpool’s. To be honest, and I hate ending on a sour note, but I would be happy just to avoid a thrashing at Anfield! A: I’d be lying if I said I expected anything else other than a win for Liverpool. I foresee us keeping the same line-up we’ve trotted out the last three league matches and hopefully we can put in a consistent performance. I’m skeptical, however, we can maintain that for 90 minutes, but Saints always seems to rise to play against Liverpool. Alltid tufft mot Southampton, de brukar få ihop defensivt solida lag med en bra målvakt som styr upp skutan bakifrån. De senaste matcherna mot Southampton har dock varit ganska lätta med två stabila segrar från förra säsongen färskt i minnet. Dock så är det alltid tufft med match direkt efter en holmgång i Champions League, förra säsongen tappade vi någonstans mellan 10-15 poäng på matcher direkt efter en Champions League vecka. Denna match så kan vi i alla fall mönstra en pigg Firmino, en pigg Keita och förhoppningsvis hyfsat pigga Mané och Salah. Annars så finns ju Shaqiri att slänga in och även Fabinho som säkert är sugen på sin riktiga debut. Hade varit skönt med en säker vinst med några måls marginal så att man slipper bli nervös i slutet av matchen.